Get a cocktail you like most at your favorite bar in Singapore. Storm into the best dinning bars and restaurants in Singapore to treat a loved one, family or to relax and refresh from the hectic activities of the day. A sumptuous dish together in a luxurious restaurant can make memories for lifetime. Get the mouthwatering dinner served by highly trained chefs and feel extreme expertise of Singapore’s best dinning bars. Apart from them being eateries, they provide other services making them outstanding. Following are some of the top eateries and bars in Singapore. One cannot go wrong for visiting Boulevard restaurants. 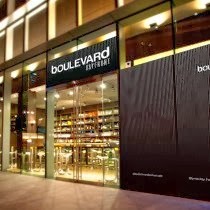 Boulevard has a chain of eateries across Singapore. It has quality bar and dinning services provided to clients and embraces astute audience from top positions. Situated at the core of the busy financial district it serves the top personnel in the society. Boulevard is near to major institutions and corporations and it has an ample parking venue. It boasts of four different dining bars with distinct style to host any activity. Gravity bar at Carlton hotel Singapore is a place you cannot miss visiting. One can make it his or her secret hideout to get a relaxant atmosphere whilst refreshing. It is located at perfect and flexible place. In the evenings, you get a live band playing cool music to take the stress away. For the chill cats who love, having a drink while listening to exuberating tunes, Gravity Bar down is a superb place to hangout. Music is played from 7.30pm to 11.30pm from Monday to Thursday and from 7.30 until midnight on Fridays, weekends and nights prior public holidays. There is also long bar that is built in a superb design of the colonial period designs. Long bar is in Raffles hotel where traditional pub snacks are offered during lunch hours. It is one of the most visited Singapore bars due to its ancient theme. In the evenings, one can enjoy sipping slings while enjoying a live band playing recent and contemporary tunes. Visit long bar and have a touch of history. Le restaurant and bar in Singapore is a favorite spot whereregulars love hanging out. 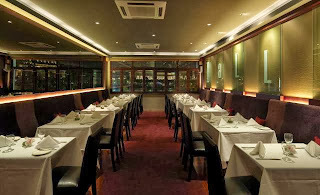 The Chinese seafood restaurant at Defu Lane has developed and grown into a restaurant within a short period. Today it sits on 10,000 square feet comprising of a stylish bar, state of art restaurant and eight chic dining venues. At Le one is served pre-dinner cocktails and tapas leading to a heavy meal full off delicacies. After meals, one can hang and relax at the digestifs until late in the night. The smartly- clad staff gives one good service. Yet another polished and well-furnished interior decorated dinner bar is the Clan Restaurant Singapore. It offers quality food from a range of menu, seafood, vegetables and meat. Apart from the diverse menu, Clan offers cold dish, side dish, soup, and desserts. However, Clan is becoming very expensive nowadays. Are you selecting the Right Bar for your Event?